Twelve 'killer' tales, each connected with one month of the year! 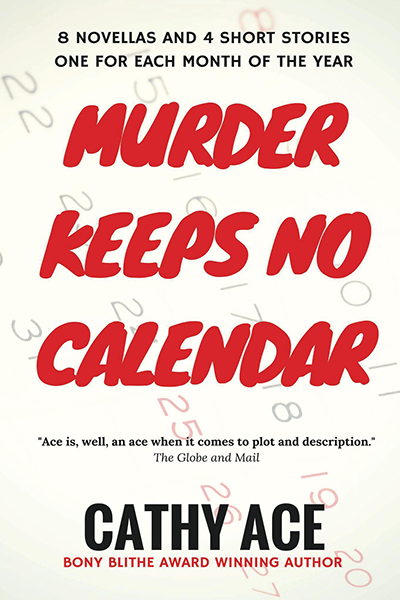 For those who already know Cathy Ace's characters Cait Morgan and Bud Anderson, or the women of the WISE Enquiries Agency, this collection of novellas and short stories will bring the delight of finding out how they met their 'significant others' and began their murderous adventures. And if you first met DI Evan Glover on the eve of his retirement, in The Wrong Boy, you can meet him long before he considered leaving his life as a detective right here. For those discovering this award-winning author for the first time, you're in for a treat...with twelve tales of intrigue and murder to enjoy, two of which have already been produced for BBC Radio 4. These stories take you on journeys to Wales, China, Canada, Scotland, Italy and England...where you'll meet unforgettable characters who all have something in common - MURDER! Soak up the local atmosphere as you consider some puzzling crimes, enjoy thrills and suspense, and take a sideways glance at devious, dastardly deeds. Four novellas - one for each season. Christine Wilson-Smythe’s cousin, Lady Jacintha Wraysbury, calls in the WISE Enquiries Agency to hunt for a missing girl - her assistant at her flower shop. In this early case for the agency, readers join the private investigators as they scour West London for a girl who’s in more danger than any of them imagine. Meet the Golightlys - an average Canadian family. When dad Dave wants to take his fifteen year-old son Zack and thirteen year-old daughter Becky for a weekend at a local lake, mum Debbie is hesitant - after all, she and Dave are separated for good reason. But what could go wrong in just thirty hours? When there’s a dead body involved, quite a lot. Not all Welshmen are rugby fans, only the ones who breathe. DI Evan Glover has played and loved the game since he was a boy, so when the body of one of Wales’ most celebrated rugby players - GGR Davies - is found at the bottom of a cliff the question of “Did he jump, or was he pushed?” is one of national significance. But, as he digs into what might have led to the tragedy, Glover discovers his hero might not have been the man he - and all of Wales - thought he was. 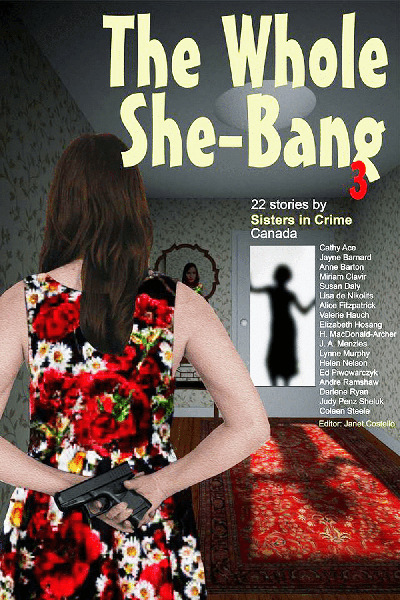 This is the third installment in the Toronto Sisters in Crime Whole She-Bang crime short story anthologies. We include 22 stories by 18 members of Sisters in Crime in Canada. Authors include Cathy Ace, whose story "Steve's Story" was shortlisted for the Arthur Ellis Award for Best Short Story in 2018.